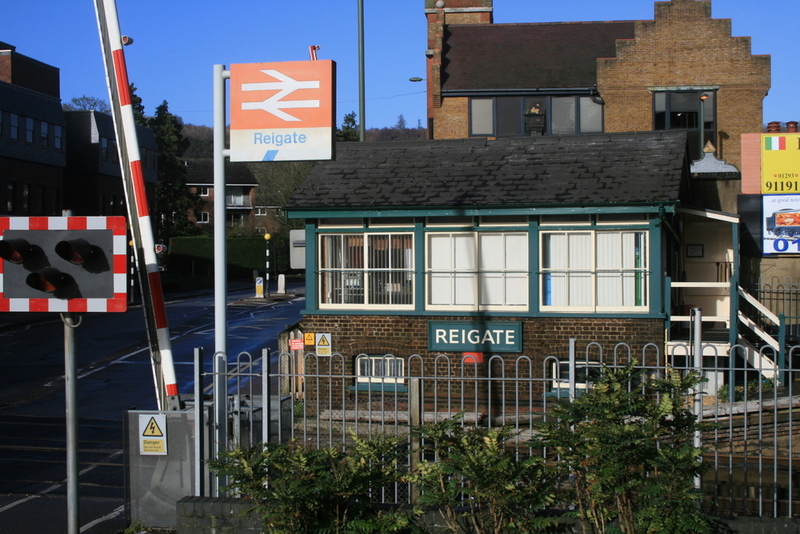 This Surrey Station still has a Network SouthEast sign located by the Signal Box on London Road. Reigate Station 'Network SouthEast' Sign. This Southwest Trains station still features a Network SouthEast sign to warn people not to cross at the end of the tracks, nearest the concourse end. Taken on 6th January 2015. NSE platform warning sign at Richmond Station. 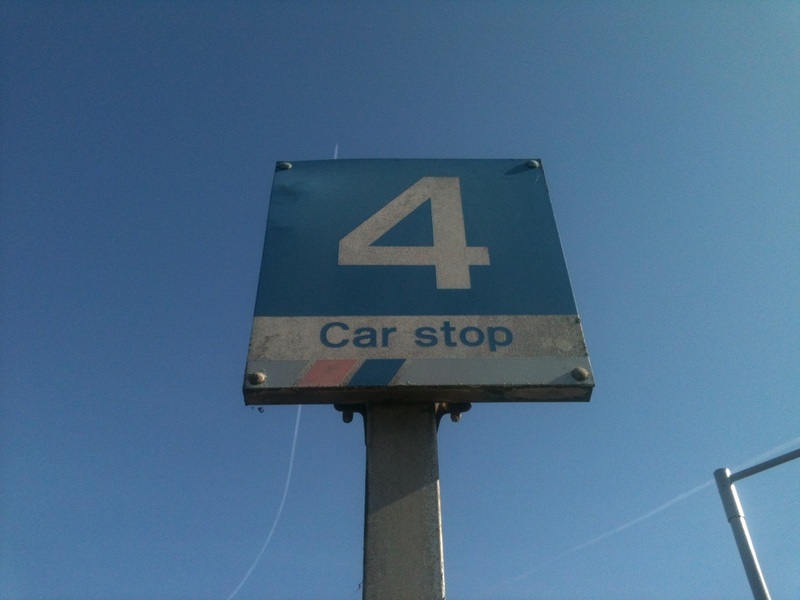 on Platform 5.Taken on 28th February 2013. 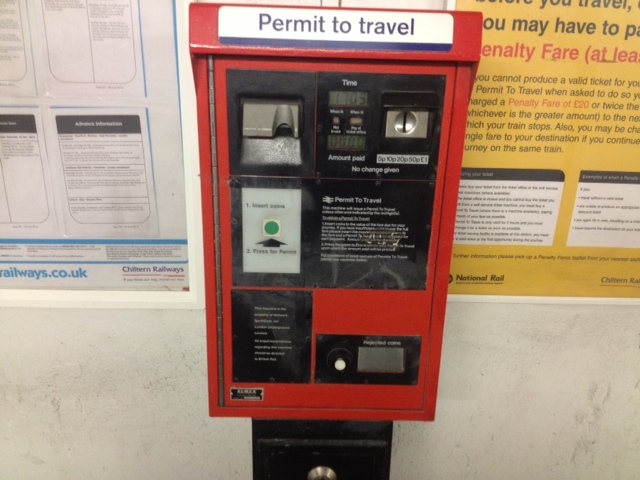 NSE pertis machine at Romford Station. 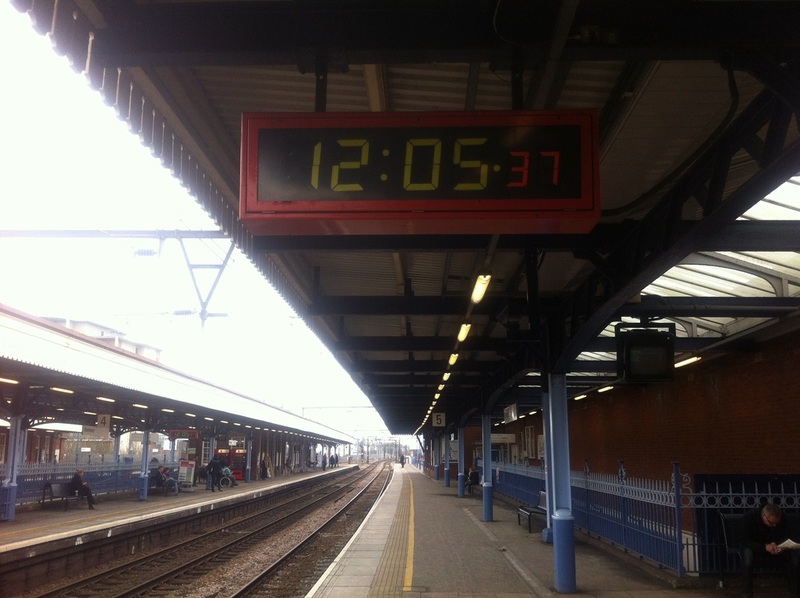 NSE Clock on Romford Station Platform 5. 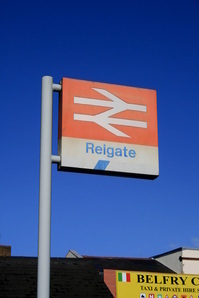 This Platform sign for EMUs still remains at this South West Trains Station. Taken on 10th November 2013. 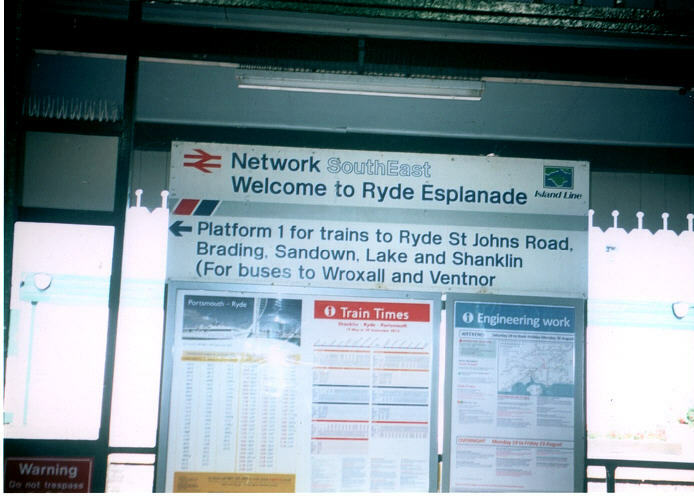 This NSE branded sign was hiding when the 'SWT Island Line' signageat the station was being updated. Taken during 2013. ﻿Information & Photo Supplied by Peter Winchester. 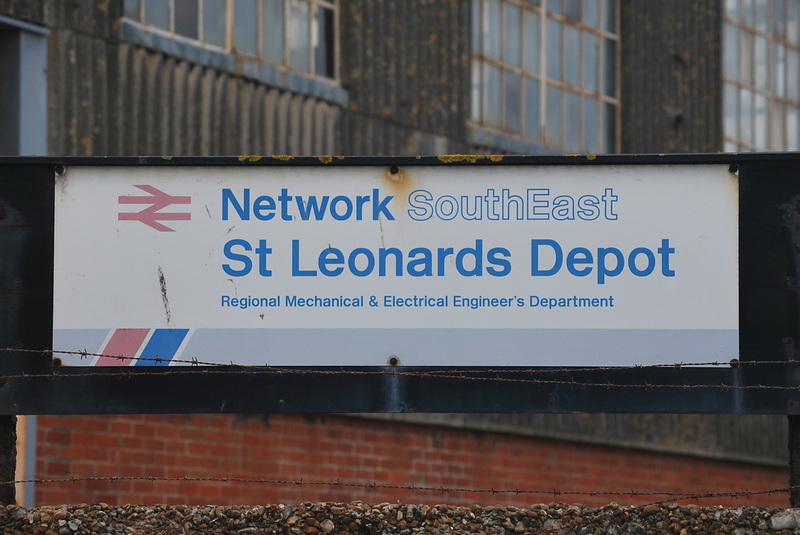 This NSE branded sign is still in place outside the entrance to the Depot. 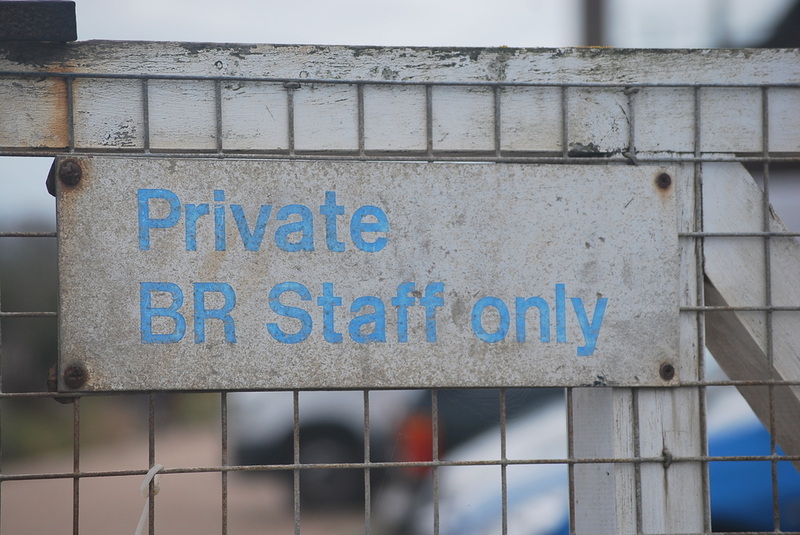 Taken on 3rd May 2014. Network SouthEast branded sign at Ryde Traincare Depot. This Platform sign for EMUs still remains at the Hertfordshire Station. Taken on 2nd April 2012. 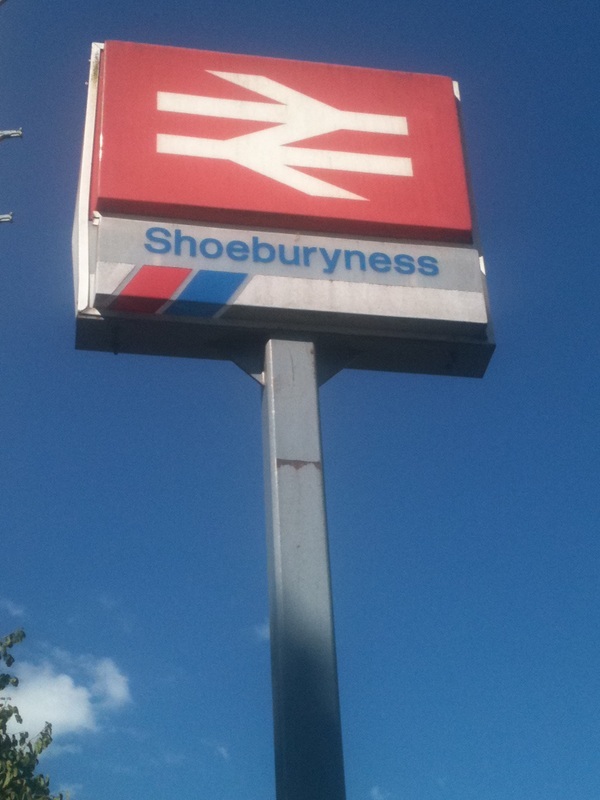 Rye House Station platform sign. 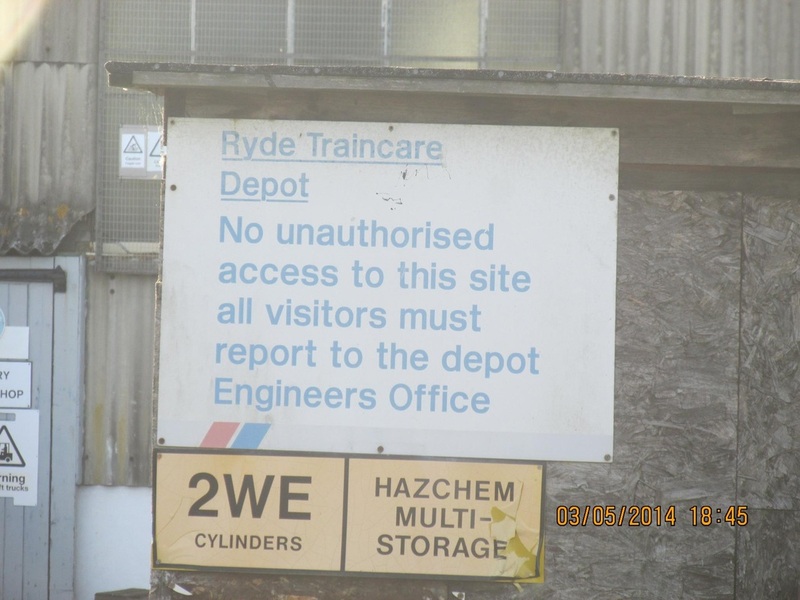 This former Engineering Depot is now the Home of Hastings Diesels Ltd. Network SouthEast signage is still retained out the Depot entrance. Taken on 16th September 2010. 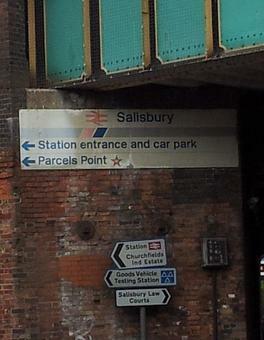 Found hiding under the bridge over Fisherton Street near Salisbury Station. Taken on 4th May 2012. 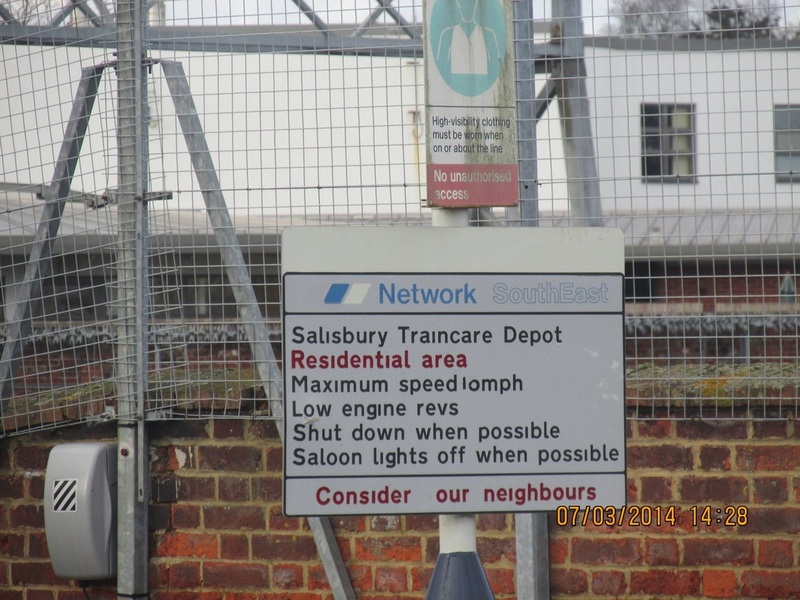 NSE sign at Salisbury Station. Information & Photo supplied by Jane Amess. Further evidence in Salisbury can still also been seen. 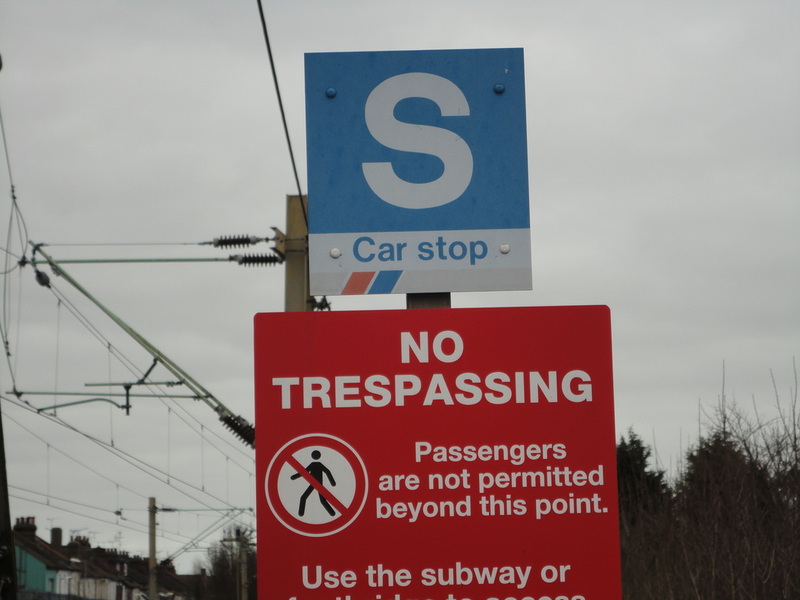 The Traincare Depot still has a few 'NSE' are signs in place. 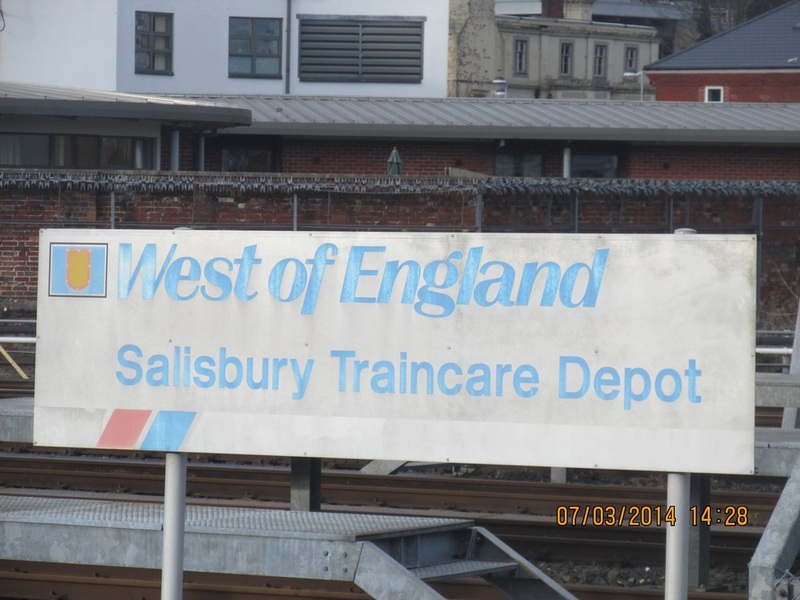 One can be seen trackside proudly displaying its 'West of England' branding. And another on the road leading up to the Depot. Taken on 4th February 2014. 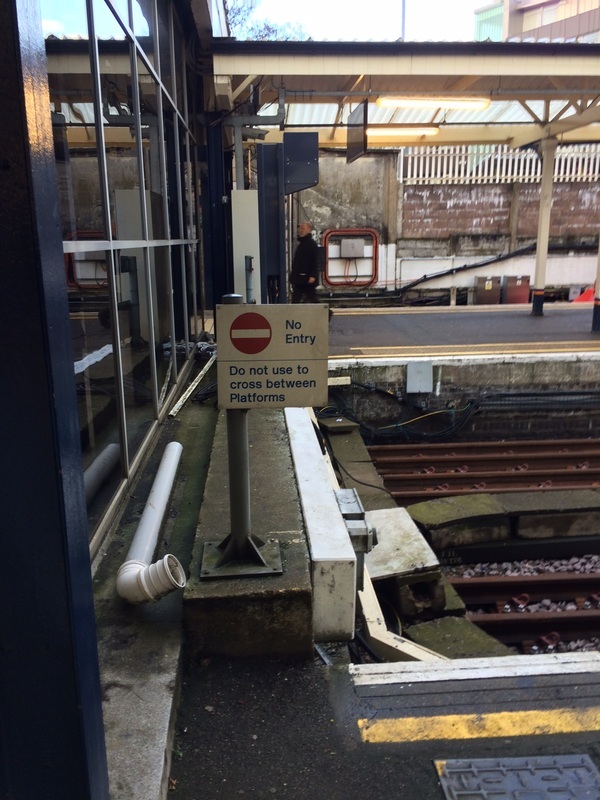 This Great Eastern line station still retains its NSE logo block paving laid by Network SouthEast and also still has a PETRIS machine still in use.
. Taken on 29th November 2014. 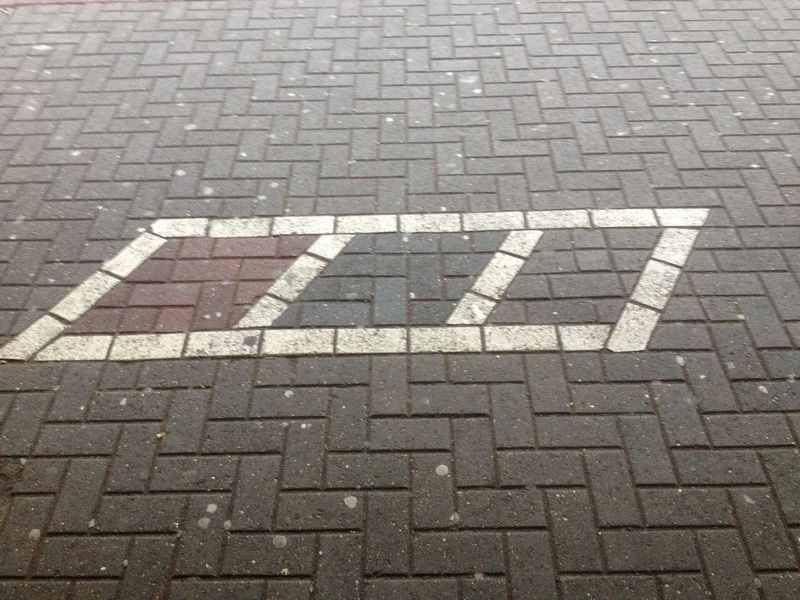 NSE block paving at Seven Kings Station. 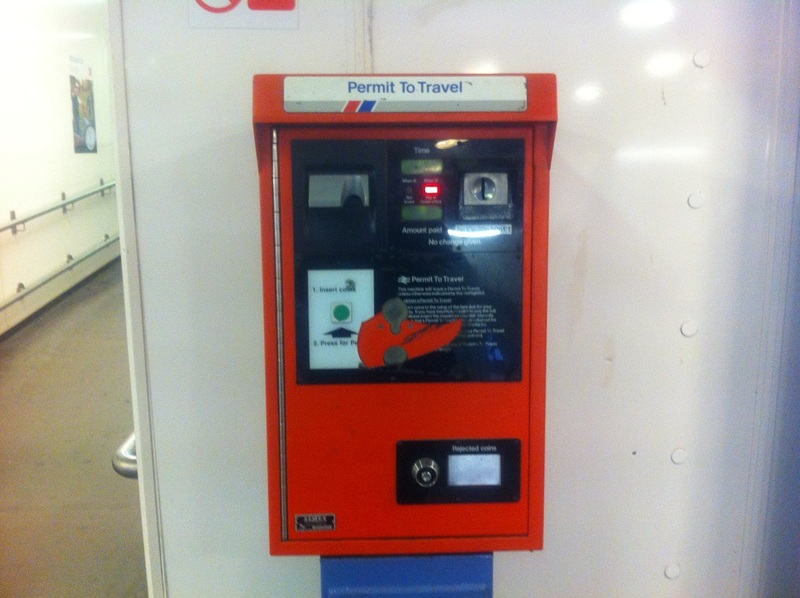 NSE pertis machine at Seven Kings Station. 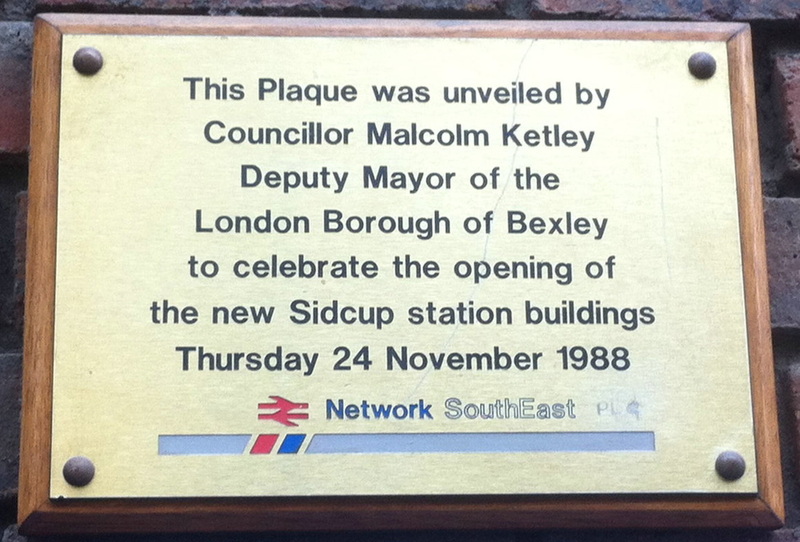 This Station on the 'Island Line' still has a great presence of Network SouthEast in the Booking Hall. 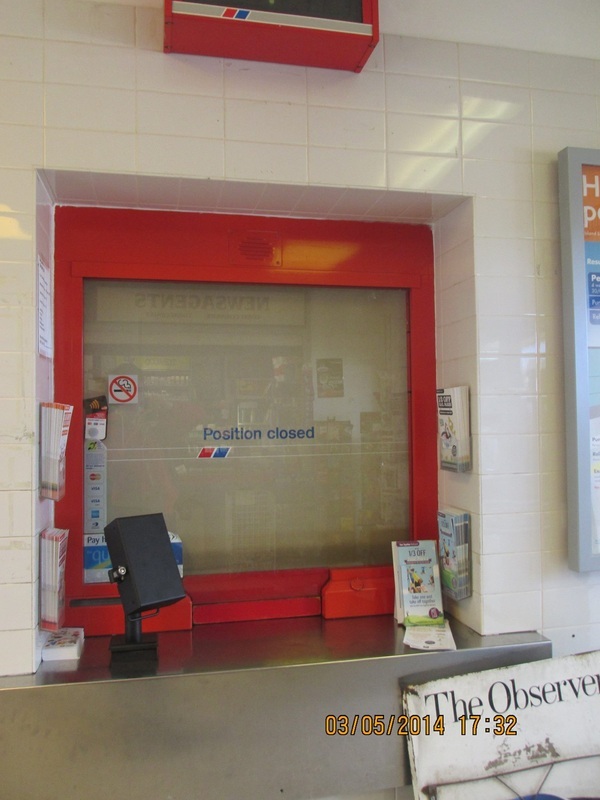 The Ticket Office window surround still gives shows its RED glow of NSE and still has kept its original blind. 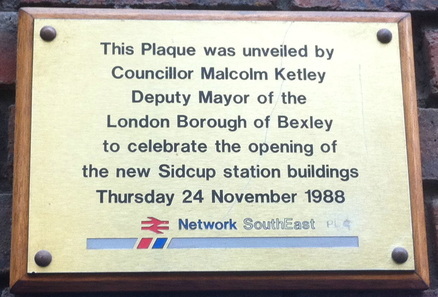 Above the window, a smaller version of the NSE clock is still in place, although it is no longer working. Taken on 3rd May 2014. 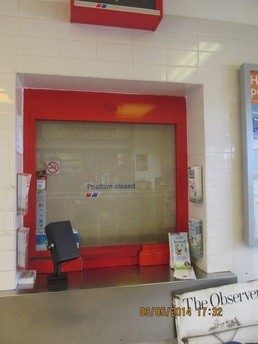 NSE 'RED' Ticket office window surround and blind at Shanklin Station. NSE branded Clock at Shanklin Station. 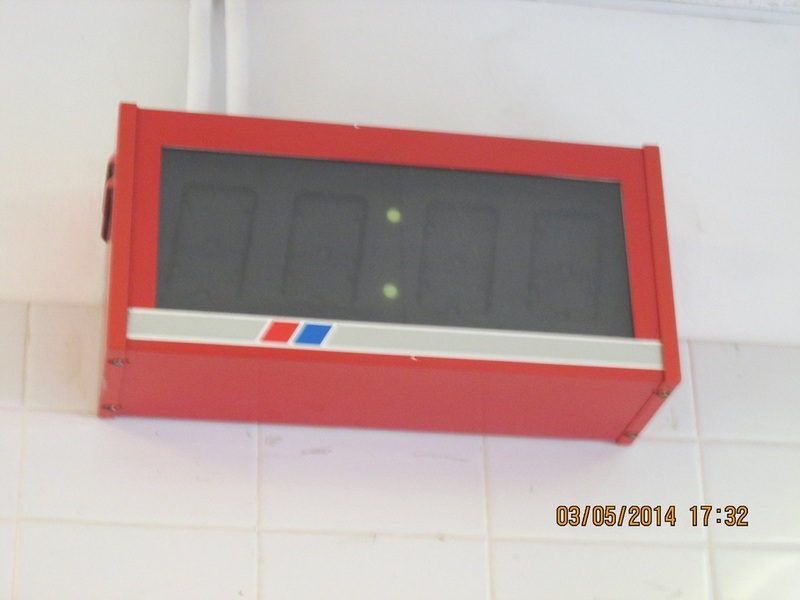 This unserviceable clock is still in place in Shanklin booking hall. Taken on 8th August 2015. 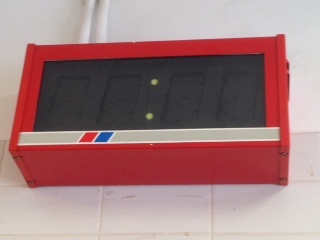 Small Network SouthEast clock in Shanklin Station booking hall. Another NSE Survivior on the LTS Line. 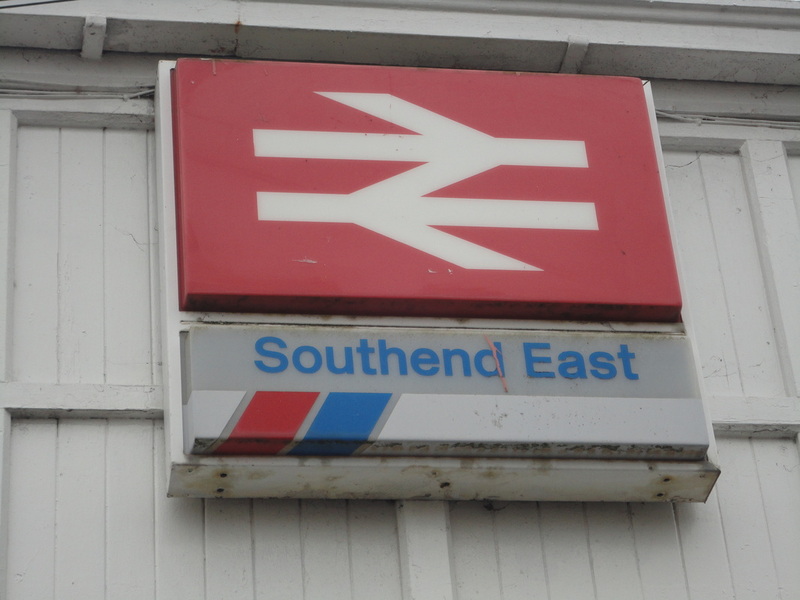 This South Coast Station still has 4 NSE branded screens back to back. 2 on each platform. Taken on 17th December 2012. 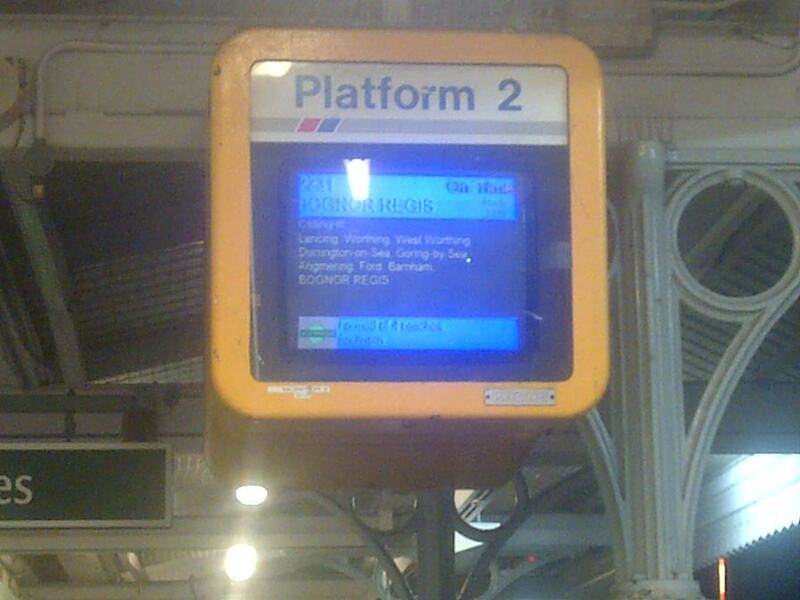 Shoreham - by - Sea Station platform 2 destination screen. mark the rebuilding. Taken on 1st August 2012. Information & Photo supplied by Rob Waughman. First Group.colour scheme. The NSE flash has been obscured, but can just be made out. Taken on 29th November 2015. 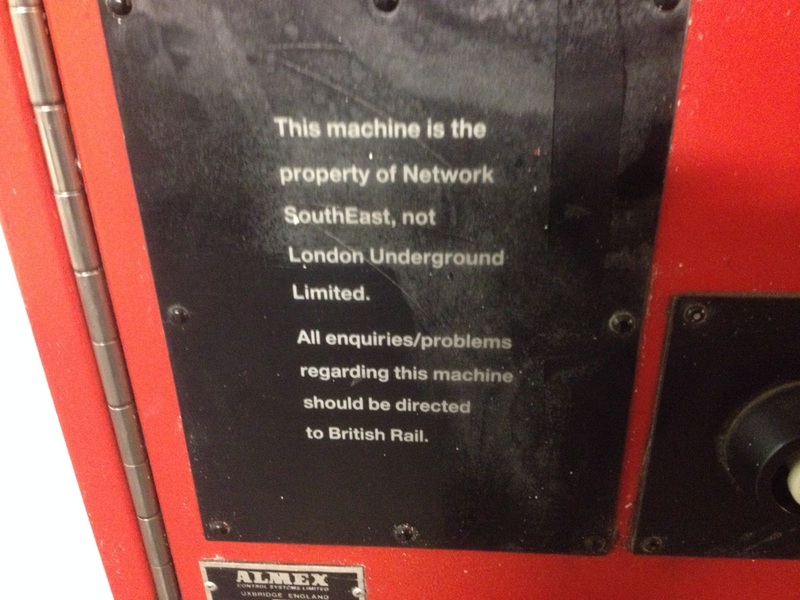 Network SouthEastt 'PERTIS Machine' at Southall Station. Obscured 'NSE Flash' on PETRIS Machine at Southall Station. 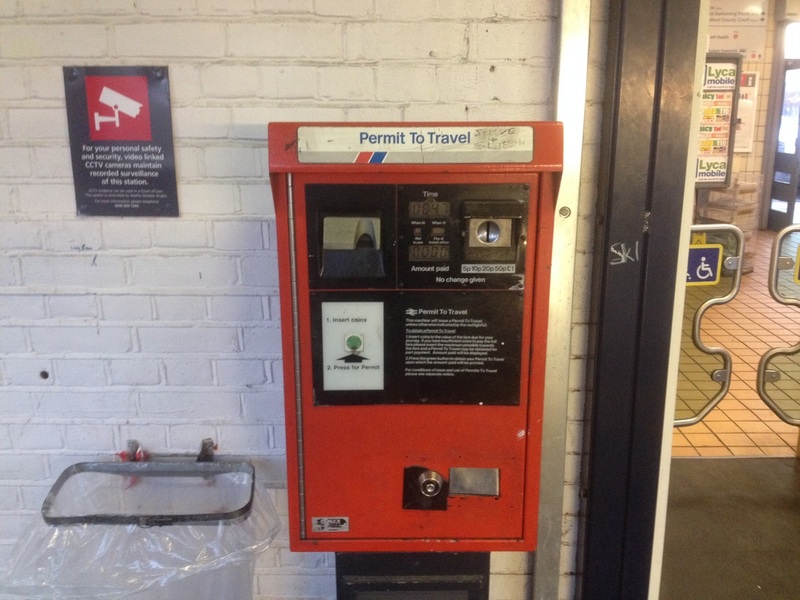 This Chiltern Railways served station still has a PERTIS machine present that was installed be Network SouthEast. Taken on 9th August 2014. 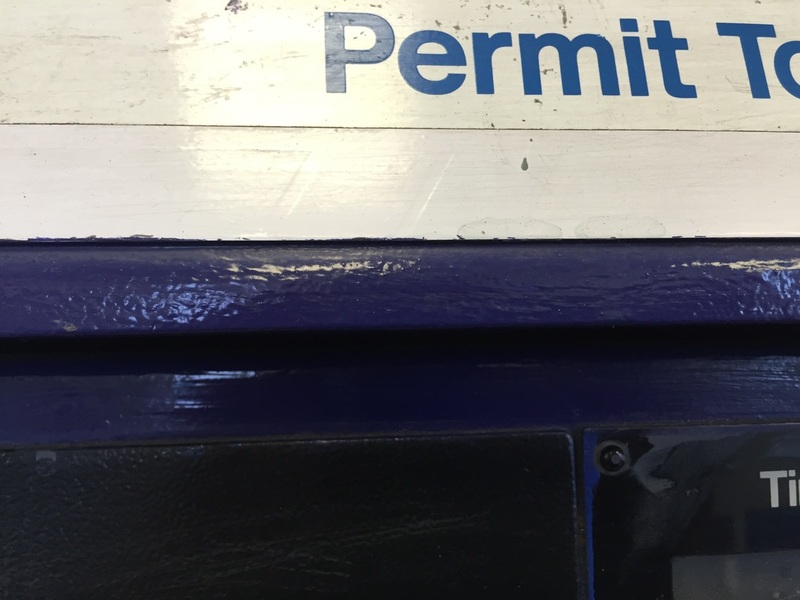 NSE installed PETRIS machine at South Ruislip station. 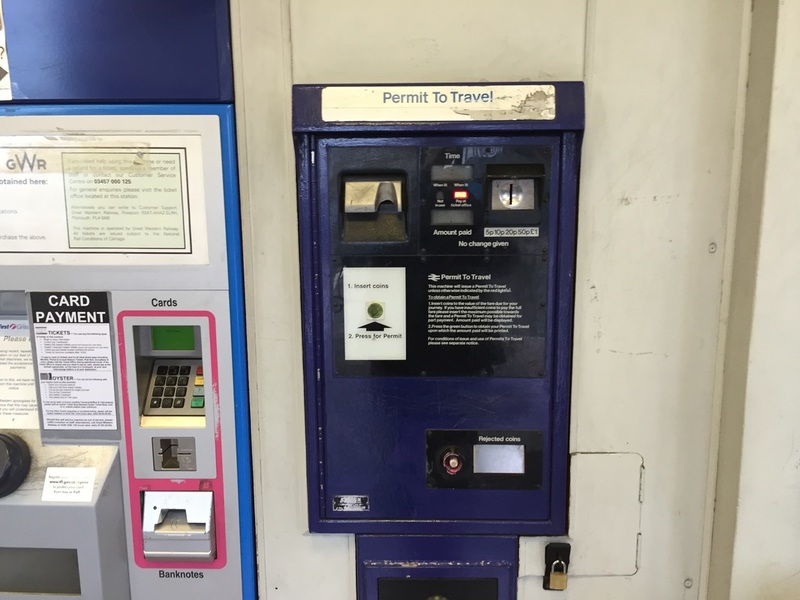 The PETRIS ticket machine clearly states that problems should be directed to BRITISH RAIL, as this station is managed by London Underground. 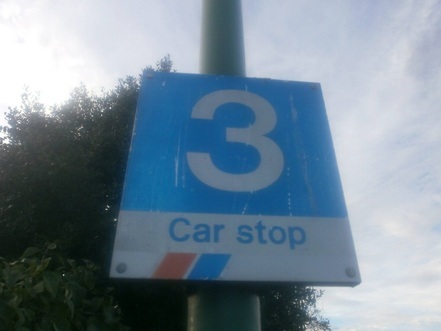 This wall mounted NSE Sign & Car Stop Signs have escaped the c2c re-brand that took place at this Shoeburyness Line Station. 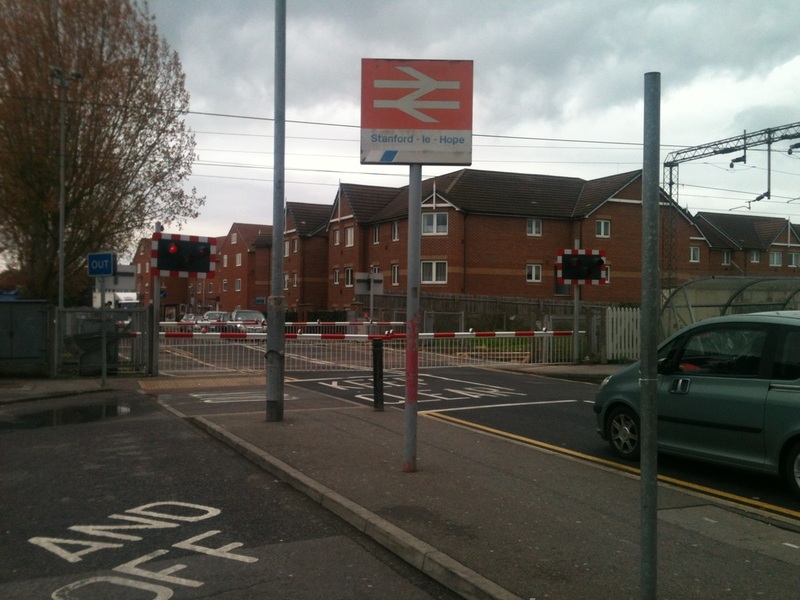 S Car stop Sign at Southend East Station. 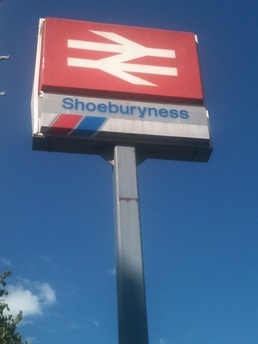 This NSE sign escaped the c2c branding which took place at the station. Stanford-le-Hope sign outside the station. This '12 Car stop' sign is still in place at this Great Eastern Line Station. 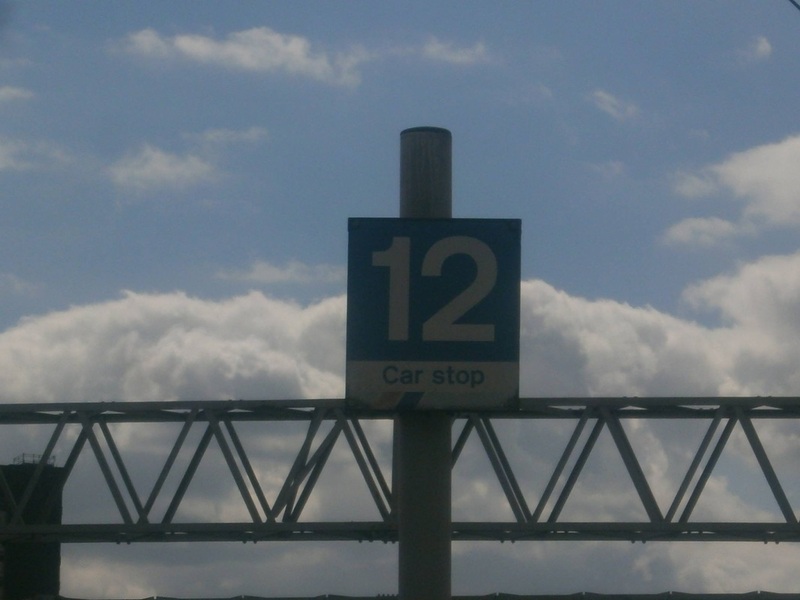 12 Car stop Sign at Stratford Station.